In the wake of the terrorist attacks in San Bernardino and in Paris, the backlash against Muslim immigrants has put the national spotlight on the World War II internment of Americans of Japanese ancestry. Three Japanese American ladies from California who faced the internment in their youth are pushing to get the U.S. Postal Service to issue a stamp that tells how Japanese Americans responded with to wartime hysteria and prejudice with patriotism. Their names are Fusa Takahashi, 88, Aiko O. King, 88, and Chiz Ohira, 87. Takahashi and Ohira are widows of veterans. Ohira could not join them, but Takahashi and King gathered with supporters this past Sunday at the University of Southern California campus. They discussed plans to get a commemorative postage stamp featuring the National Japanese American Memorial to Patriotism During World War II, located in Washington, D.C. The ladies were interviewed on camera at a USC studio to document their 10-year campaign, and to ask for support. In October, the USPS upgraded one of the ladies’ proposals to “under consideration,” which is the final step before a stamp is issued. But hundreds of other proposals are also “under consideration” waiting to be issued, making the last step perhaps the most difficult. Due to a USPS policy that prohibits new stamps from honoring military units and veterans’ groups, the ladies and their supporters are pushing for recognition of the National Japanese American Memorial to Patriotism During World War II instead of a veteran-focused stamp. The memorial captures the history of the internment, and the response by those who enlisted in the U.S. military. Begun about ten years ago, this nationwide effort gathered six state resolutions of support (Arizona, California, Hawaii, Oregon, Washington, and Illinois). There was a successful petition and letter-writing campaign for the stamp by French citizens in Bruyeres, a town that Nisei soldiers liberated during the war. Past letters of support came from Congress in 2009, and from numerous national organizations, including the Japanese American Citizens League and the Simon Wiesenthal Center. Actor/activist George Takei voiced his support in 2007. While the USPS has looked at the proposals multiple times, it has yet to issue any stamps that honor these veterans. After the bombing of Pearl Harbor in 1941, over 120,000 Japanese Americans were forced from their homes and placed into internment camps. It didn’t matter if an individual was an American citizen or not; anyone who had any Japanese ancestry and lived in one of the West Coast states was put into the camps. In Hawaii, where Japanese Americans made up a large part of the population, there was no mass internment, but several community members were detained and some were sent to mainland camps. Many of the internees, especially young adults who were born and raised American, were upset that their constitutional rights were being taken away just because of their ancestry. Some even refused to comply with government orders on constitutional grounds, like Presidential Medal of Freedom recipients Fred Korematsu, Gordon Hirabayashi and Minoru Yasui. But thousands of Nisei decided to prove their loyalty and serve in the military. These are the Nisei that the campaign seeks to remember through the stamp. 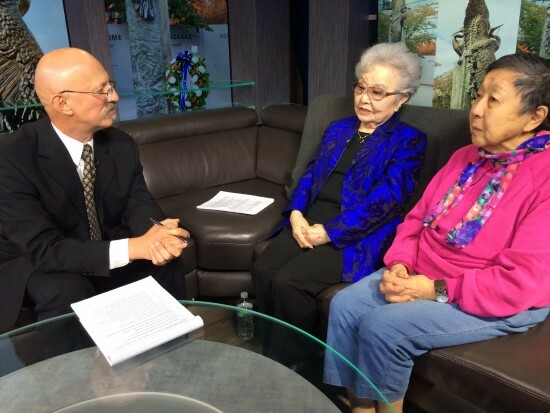 “It is our hope that we can educate the American public about the unique heroism, sacrifices, and accomplishments made by the Nisei soldiers,” said Takahashi. For general information on the campaign, go to www.NiseiStamp.org. The sister campaign’s website is www.TheyDeserveAStamp.org.